"An intellectual is someone whose mind watches itself." Library is to book, as book is to _____. The Second World War lasted from 1939 to ____. Christopher Columbus was a/an _____ explorer. In Greek mythology, Nemesis is the Goddess of ______. 10 people shake hands with each other. How many handshakes will there be in total? If you hold your left hand up to wave at yourself in the mirror, it appears as if your right hand is waving back at you. Horse is to Zebra as Cougar is to ____. 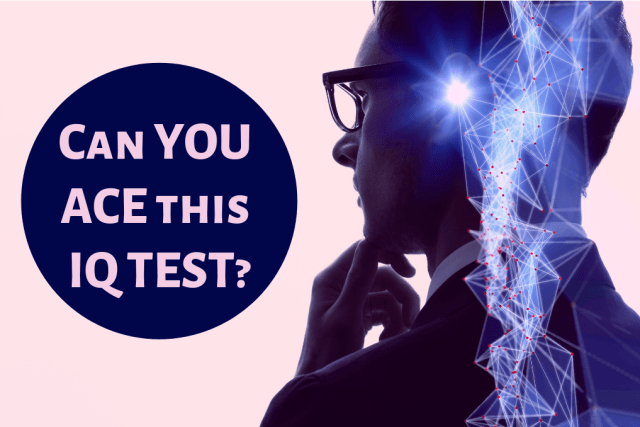 You smashed this IQ test! Your intelligence is in the 99th percentile. Your IQ is over 150 (genius or near genius). People at your IQ range are ‘Deep Thinkers’. You analyze experiences, you look at situations from multiple perspectives, and you are naturally empathetic. You have a greater sense of intuition than most people. You are quick to notice changes in moods and attitudes, and you easily adapt to shifting circumstances. You don’t set regular sleeping hours. You like to stay up late and reflect about things you care about. Share this IQ test if we’re spot-on! You totally blew it... Give it another try!